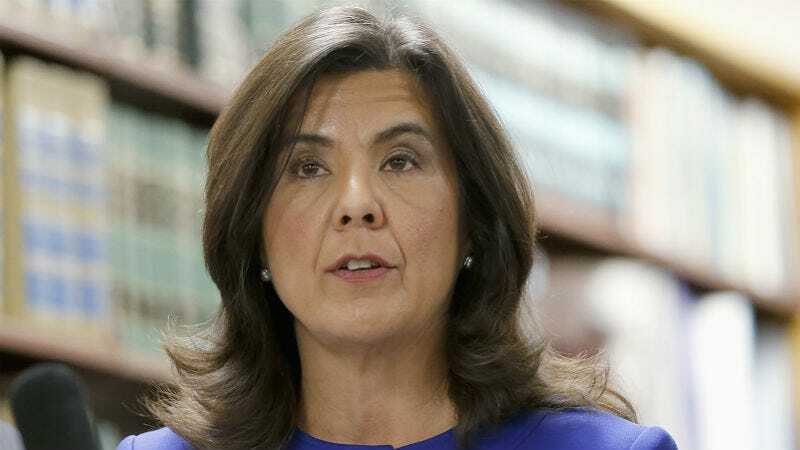 Following Rahm Emanuel’s fumbling around the fatal shooting of LaQuan McDonald by Chicago police in 2014 and the year it took to release the incident’s footage, Cook County State’s Attorney Anita Alvarez says everything was handled just fine. Protestors have been calling for Alvarez’s resignation, but, according to Think Progress, Alvarez doubled down on her shaky position during an election debate on Thursday. However, that isn’t quite true. CPD claimed McDonald “lunged” at them, despite dash cam footage showing he did not, and they have not been prosecuted for lying about this. On the mayor’s end, his team knew about the footage of McDonald’s death in 2014; but, instead of releasing it when Emanuel was up for re-election, they offered to pay off McDonald’s family to keep the video quiet. Emanuel’s staff also worked with the Independent Police Review Authority on publicity strategies to handle public outrage from the video, rather than charging Officer Jason Van Dyke in the fatal shooting of a Chicago resident. Van Dyke was finally charged with first-degree murder and misconduct in December 2015. Anita, girl, how was everything handled just fine? Still, when called on her involvement in the foolishness to cover up McDonald’s shooting, Alvarez took the high school approach and called her opposition immature and unprepared to take her job. And if you’re wondering, Emanuel still refuses to step down.